Oddsmonkey Review 2019 - Why Choose Oddsmonkey? 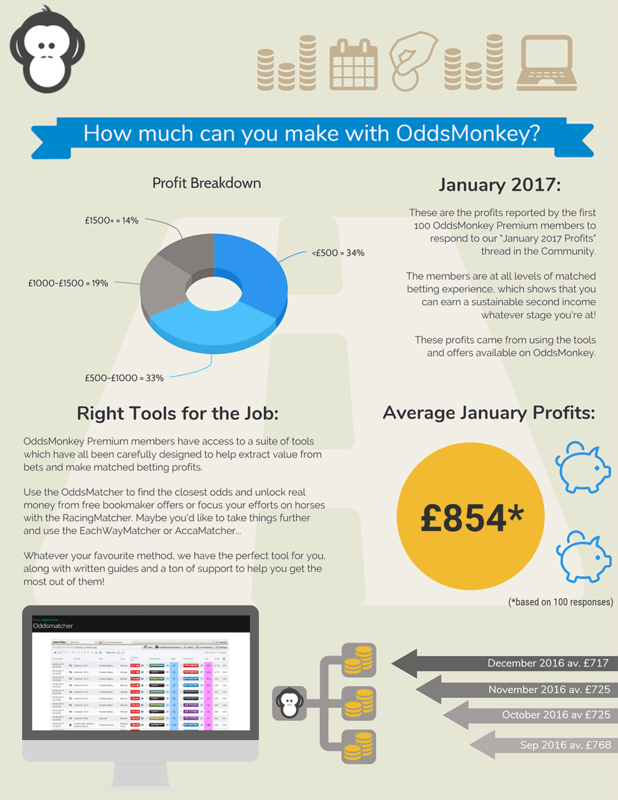 I've been matched betting for over 3 years and of all the matched betting subscriptions sites I've used, Oddsmonkey is comfortably the best. I was first introduced to matched betting through Profit Accumulator and was a happy customer of theirs for nearly 2 years. But then in April 2016, Oddsmonkey entered the party and have since dominated, in my eyes. This Oddsmonkey Review will outline why I think their service and product beats any competition and I'll also explain why you need a paid matched betting subscription if you really want to get the most from 'ongoing customer offers. As you may already know, we at Team Profit provide you with everything you need to know about matched betting completely free, through our extensive and thorough video guides and articles. 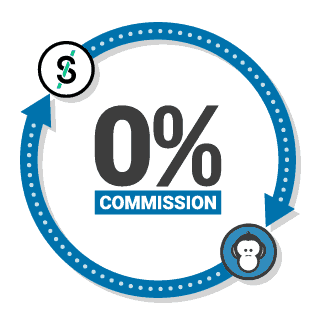 Oddsmonkey then make the transition to 'existing customer' offers and beyond truly seamless. If you've loved your time with Team Profit, we strongly encourage our users to spread their wings and give their faultless service a go (with 30 day money back guarantee - no questions asked). 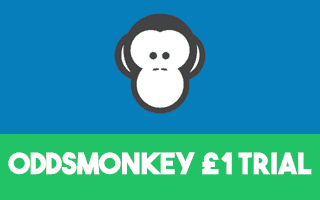 Set up back in 2011, Oddsmonkey was the original matched betting software provider. For 5 years they provided the software used by over 30,000 matched bettors (most notably the bet calculator and the oddsmatcher software). In April 2016 they decided that they didn't want to simply offer the tools, they wanted to provide matched betters the full package and felt they could do it better than anyone else! In the past year they have gone from strength to strength, adding; new and innovative matched betting tools, over 60 bookmaker offers, a really intuitive daily offers calendar, friendly and helpful forum and support (with over half a million posts! ), free one-to-one training and much more. As I mentioned earlier, I started on Profit Accumulator (they were the only company offering the full service), but since trialling Oddsmonkey I haven't looked back - despite testing Profit Accumulator a month or so ago to check for any improvements. They offer absolutely everything you need to maximise your matched betting profits each month. Next I will explore the features that make this the complete matched betting service, all of which are included in the £17.99 a month premium subscription. Their learning materials are great, they're not quite as good as what Team Profit offer (maybe a little bias), but still brilliant for those of you who are yet to start matched betting. They provide; step-by-step written guides, video guides, 1 to 1 training sessions and a fantastic support forum - as well as the usual email support. But if it's just learning material you're looking for, I would thoroughly recommend having a browse round the Team Profit site. We cover pretty everything matched betting, in detail - all for free! 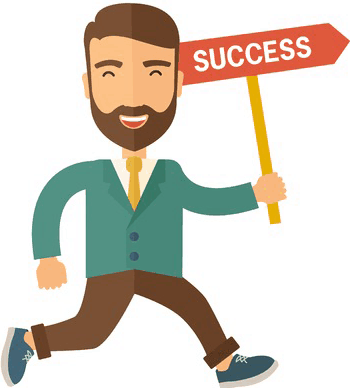 Each of you are at a different stage of your matched betting journey; some of you are learning about what liability is, some are learning about equal-profit method on refund welcome offers and some are tackling the varyious lay method options associated with football accumulator refund offers. But you all have one thing in common, you're all increasing your ability to earn risk-free profits from matched betting. They offer a fantastically tailored service to help make increasing your profits even easier - One To One Training. Simply book a one to one session with a matched betting expert and you can ask them ANY questions you like to further your matched betting profits. I highly recommend taking advantage of one of these sessions if you can, they can really maximise your profits and come included in the monthly fee! 24 hour support from both members and staff. At the time of writing this review,an impressive 60+ bookmaker welcome offers were available on their premium platform - all with their own written guides and an increasing number with a dedicated video guide too. On top of these they have over 25 profitable Casino and Bingo offers! Ongoing offers or reload offers or daily offers, whatever you want to call them are the offers that make matched betting a long-term additional income and not just a one off cash injection. These are offers that bookmakers offer out to all customers (new and existing). And with the help of the clever Oddsmonkey tools, we can successfully source and take advantage of them for a monthly profit boost! These are the offers that can make you up to £1,000 a month and the tools used are reviewed in more detail below. Some 'existing customer offers' require us to bet on specific sports or sporting events. This means it's not always easy to find a suitable matched bet, that doesn't cost us too much in trigger bet losses. The Oddsmatcher tool helps us by displaying the very best matches across the bookmaker and exchange, which saves you time and maximises your profits. The Oddsmatcher software has been developed over the past 5 years and over 25,000 matched bettors currently us it. Daily offers (existing customer offers) are often sporadic and not always easy to find. The time it takes to find the offers and ultimately find a good match, if done manually, will likely mean they’re not good value for money. However, all the leg-work is done for you by providing a really simple and easy to navigate ‘daily offer calendar’, each offer comes with a guaranteed profit breakdown. We’d advise you check this section each day for all the very best free bets to turn into cash. The Acca Matcher scans all eligible football games as per the bookmaker offer's terms and conditions and then compiles the most profitable selection of bets to put into your accumulator. When using the Acca Matcher tool you can make up to £8 per accumulator offer. And with 15 offers available each week, this tool saves you a lot of time whilst also increasing profits! When you're doing as many as 20 horse racing refunds a day, it's important to save as much time as possible, as well as, keep trigger bet losses to a minimum with every race you do. 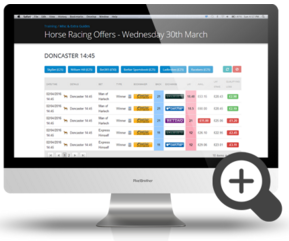 By focusing your search to your own pre-set filters, the Racing Matcher makes finding horse racing refunds quicker, easier and more profitable. 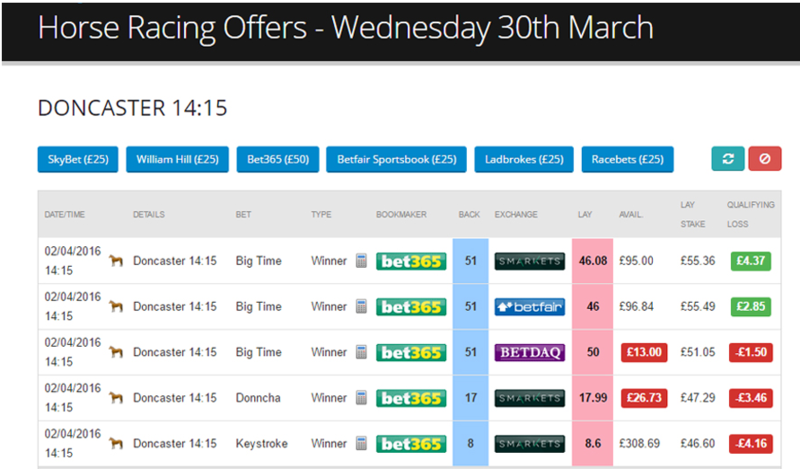 Much like the Oddsmatcher tool, the Racing Matcher is a great way to reduce your trigger bet losses by finding the best available matches instantly. 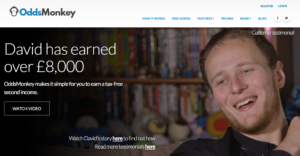 I started my matched betting journey nearly 3 years ago. I started off by using the very well known, Profit Accumulator. Around 14 months ago I decided to take advantage of Oddsmonkey's '30 day money back guarantee' offer, to see what all the hype was about. The hype ended up to be very justified and I've not thought about moving back to Profit Accumulator since. Similar to Team Profit, OM provides 1 on 1 training sessions, Profit Accumulator does not. They both provide fantastic matched betting forums of similar size (however, OM's is growing whilst Profit Accumulator's seems to be shrinking). Profit accumulator were once the biggest and best matched betting site available and were the only choice. I feel that that could've been their biggest downfall. When once they could get away with charging a premium monthly rate, they no longer can. And it's no surprise OM have taken advantage of Profit Accumulator's sluggishness to improve their product and have capitalised to fast become the go-to matched betting subscription site. As an incredibly principled company, they stick to their word and reward loyalty. A way in which they reward existing customers is that they promise never to hike up the monthly subscription costs for them, even if they increase it for new customers. So if you sign up today at the monthly cost of £17.99 and next week they increase the monthly subscription fee to £20.99, you will continue paying the lower amount of £17.99. An increase of price is something they are more than warranted to do at any point given the quality of service they provide - so I'd advise getting the price lock in as soon as you're able to. I'm very confident that if you're wanting to take your matched betting to the next level then this full matched betting service will be the perfect place for you to achieve this. But you don't have to take my word for it. If you're not completely happy with the service, you can get your money back at any point within the first 30 days of becoming a premium member. For more details on the guarantee, see here. An unbiased Team Profit review. OddsMonkey is an incredibly useful matched betting site that gives you training and tools to help you learn matched betting and maximise profits!